This condo has additional space on the balcony and comes with a jetted hot tub. 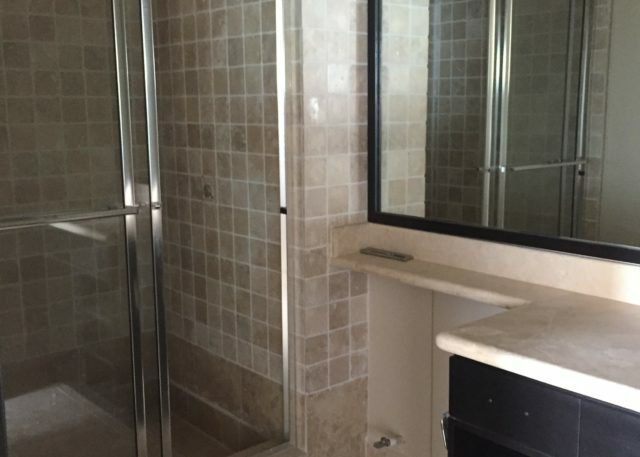 This is a picture of the condo next door to show the finished tub. Larger balcony, great for get-togethers and gardening! (Photo from next door unit). 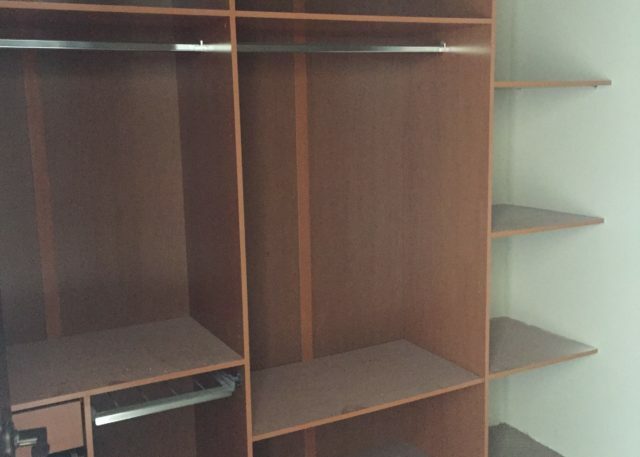 Kitchen is currently being finished, choose the color of the wood cabinets! Kitchen is still in progress but will feature beautiful light granite. 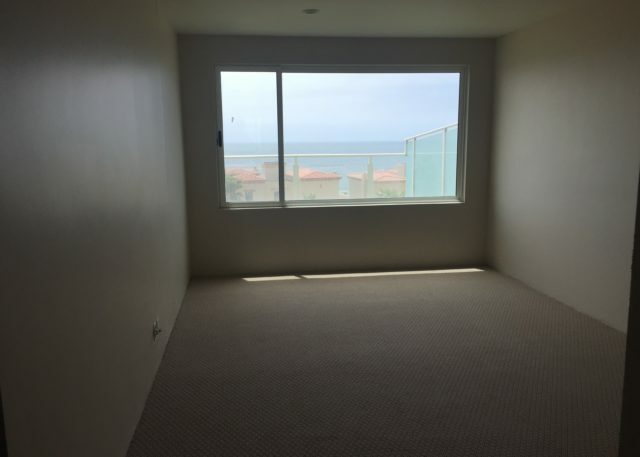 Master bedroom is spacious and has access to the balcony. 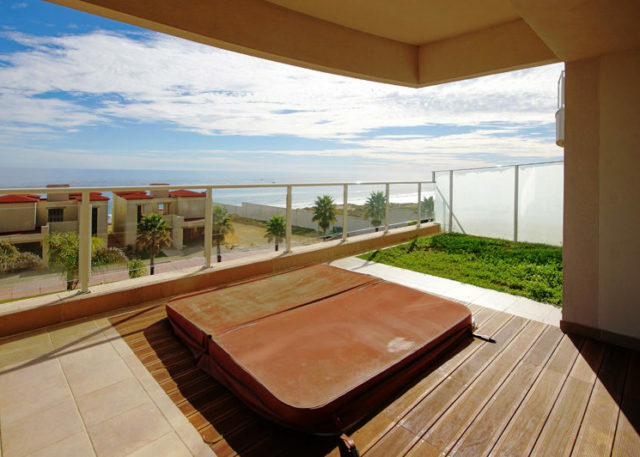 This is the view from the Master Bedroom into the garden area in the balcony (Photo as example). 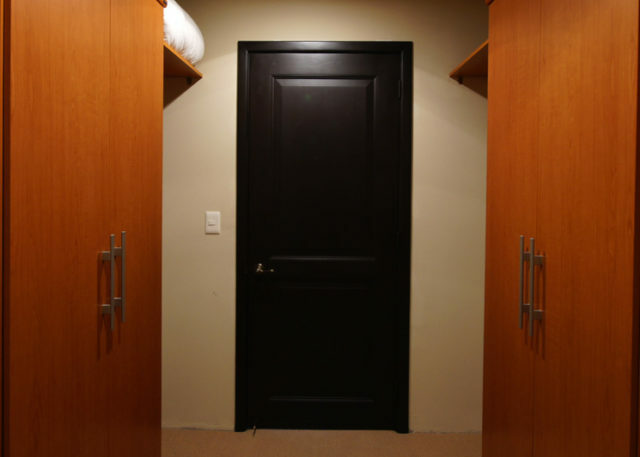 Master Bedroom has spacious walk-in closet. 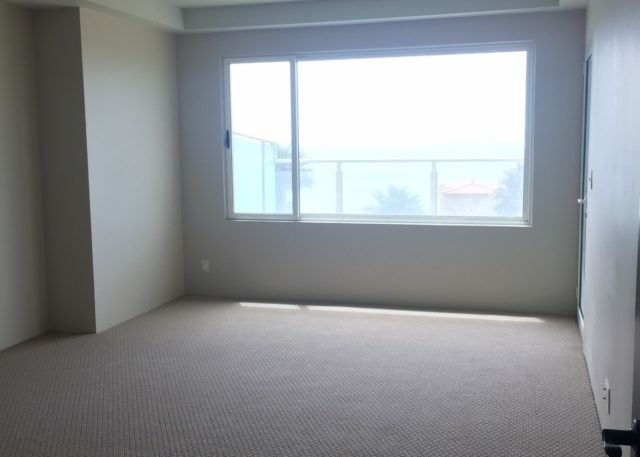 Second bedroom also has views to the ocean! 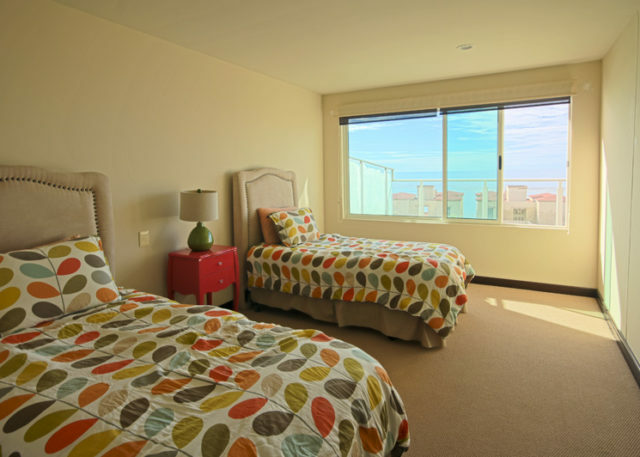 Example of a finished and furnished second bedroom. All bathrooms have marble slabs and travertine tile showers. 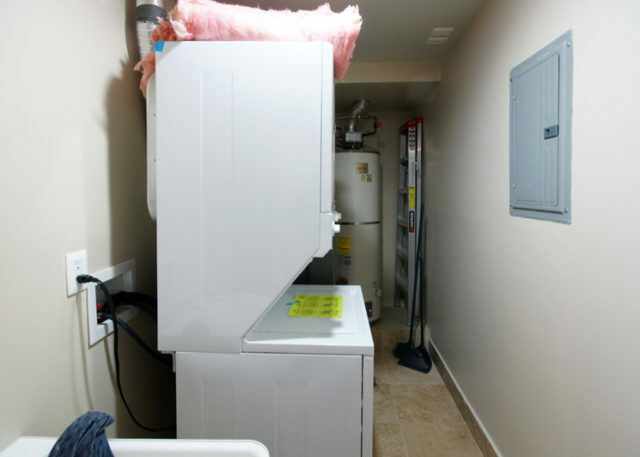 Unit includes washer, dryer, water heater and forced air heater installed. 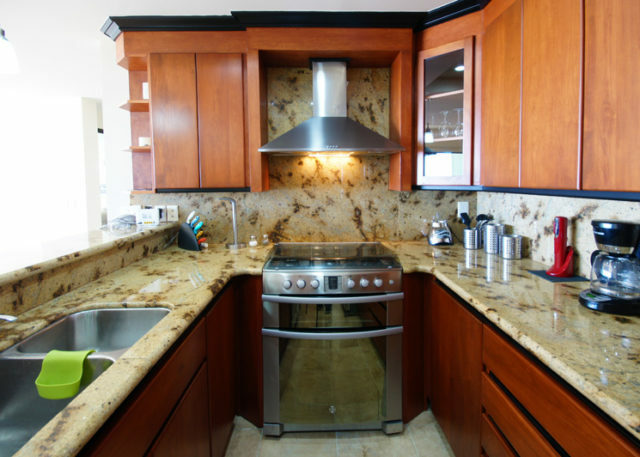 2 Bedroom, 2 bathroom, 2,030 square foot condo, with 180° views to the Ocean on the 1st floor of Palacio del Mar. 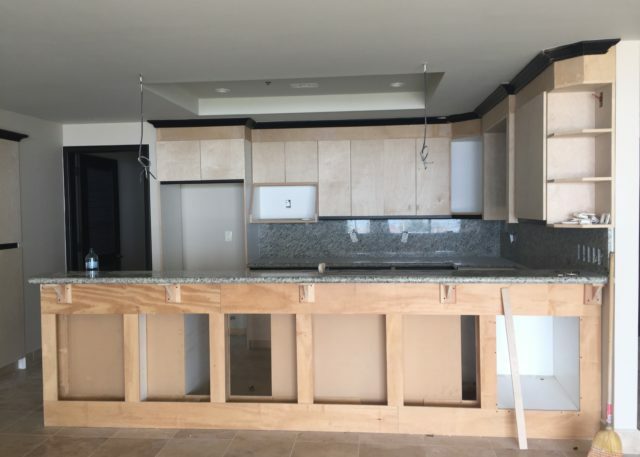 This condo is still being finished which offers customizing options to give the condo your own unique style. Choose the color of your cabinets from a variety of options. 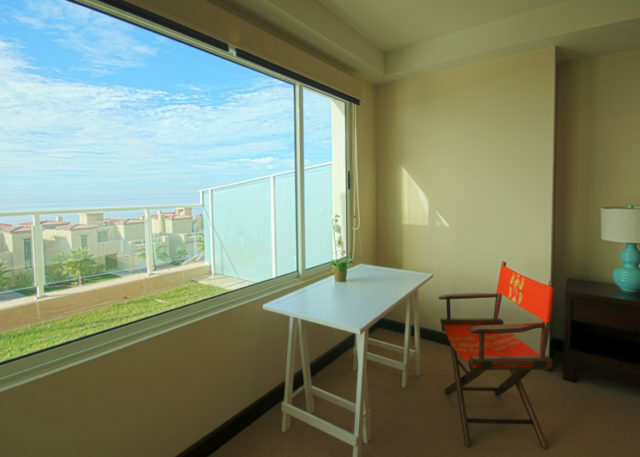 Single level, featuring views from any room in the condo. 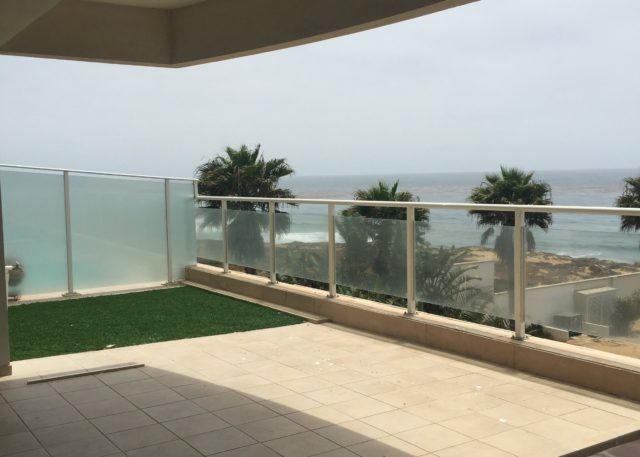 This condo is in the first level and has additional terrace space and a jacuzzi included in the balcony. We have added some pictures of the condo next door so you can see what the standard finishes are for this unit. 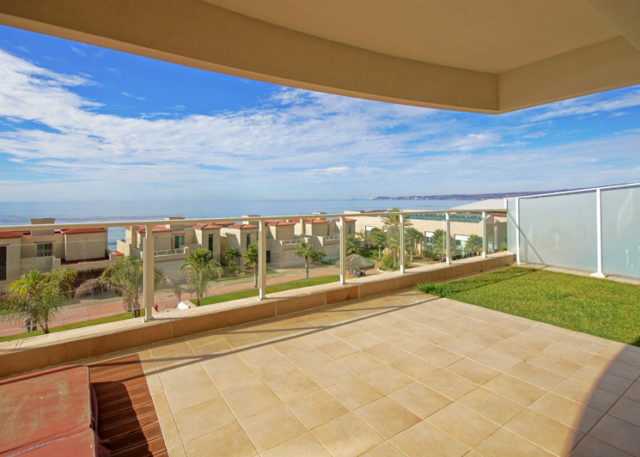 This condo has high ceilings and travertine floors throughout. The bedrooms currently have no flooring installed but they will be delivered carpeted for comfort, you can also choose a different flooring for the bedrooms as an upgrade. 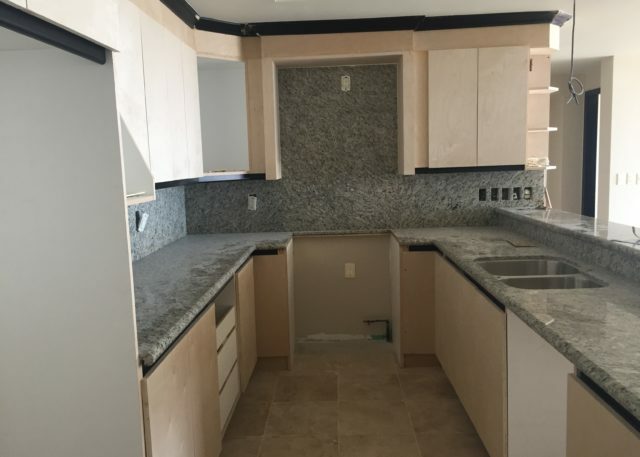 The kitchen comes with stainless steel appliances included (dishwasher, stove with oven, microwave, refrigerator, and sink), granite counter tops and backsplash. Plenty of cabinet space and pantry. 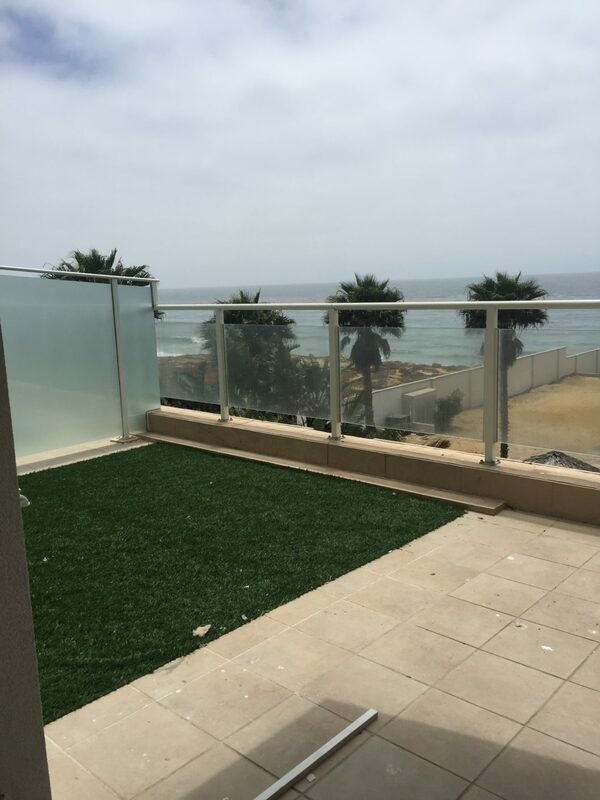 Previous ListingPenthouse 1902 – 2 bedroom, 2 bath / 19th floor, middle unit.Next ListingCondo 1603 – 2 bedroom, 2 bath / 16th floor middle unit.